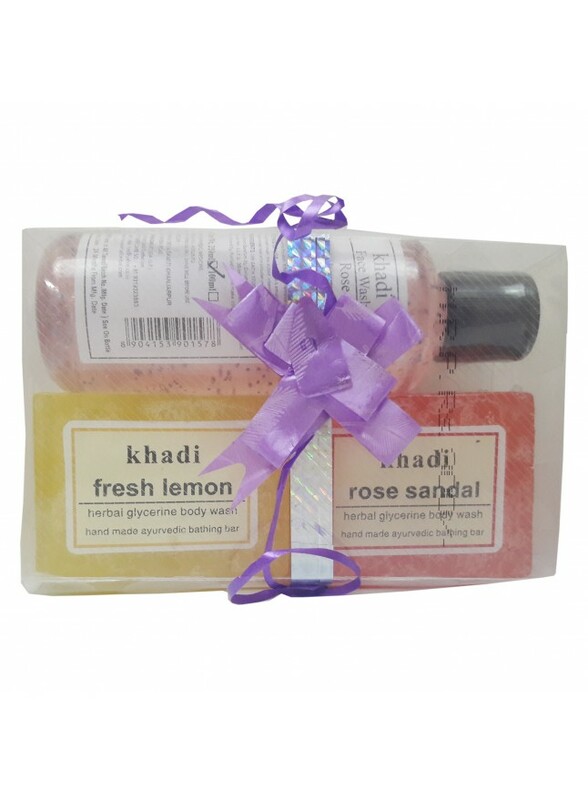 Khadi India Gift Pack Beauty Care Set: Khadi Soap (Fresh Lemon, Rose Sandal), Khadi Fash Wash.
Khadi India Fresh Lemon soap 125g: Fresh Lemon Soap Helpful For Getting The Relief If Suffer Due To Pain. It Cleans Dirt, Bad Smell Ets. 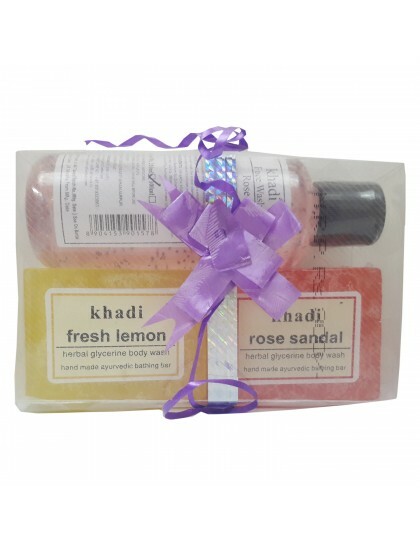 Khadi India Rose Sandal Soap 125g: Rose Sandal soap is a unique combination of rose petals water and glycerine. It also contains mild antiseptic properties. Makes skin smooth & velvety. Rose face wash 210ml: is an innovative face wash which has the goodness of Tulsi, and Aloe Vera extract and removes excess surface oil, dirt and pollutants. 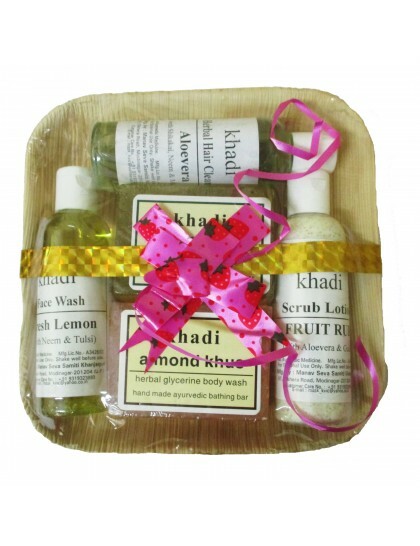 It contains active vitamin E milli balls which provide excellent nourishment to the skin. It helps to remove pimples.